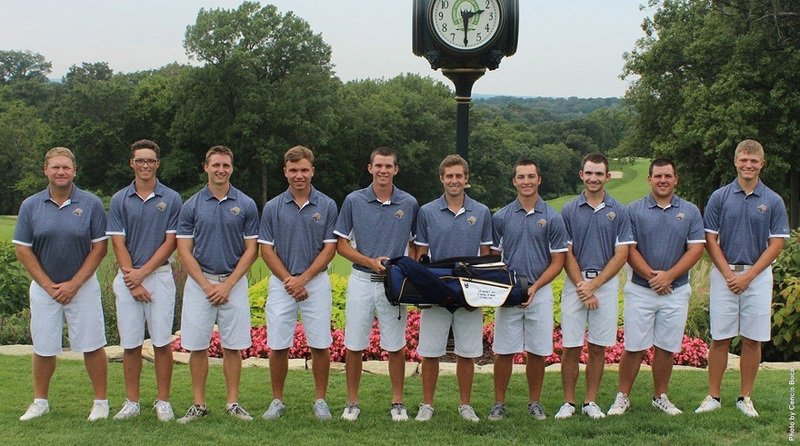 The Webster University men's golf team was awarded the 2016 Team Academic Award by the Golf Coaches Association of America (GCAA), for the fifth year in a row. Additionally, the Gorloks were one of only six teams who received President's Special Recognition by the GCAA for posting a 3.66 grade point average (GPA) for 2015-16, marking the third straight year. The team's 3.66 GPA just nipped last year's 3.65 average, when the 2014-15 golf team was named GCAA NCAA III Academic National Champions. It was the first Webster program to be named an academic champion by its respective national association. The 2013-14 squad, also receiving President's Special Recognition, had a 3.67 GPA. Last week, team members Jon Hughes, Justin Onken and Tyler Thorman were named as GCAA All-American Scholars, based on their GPAs and scoring averages for the year. Other 2015-16 team members included Pete Conowell, Max Ernst, Matt Gordon, Jay Hargis, Ian Heizer and Will Murphy. Only 38 NCAA III schools received the Team Academic Award. Webster was the only school recognized from the St. Louis Intercollegiate Athletic Conference (SLIAC). To qualify for the Team Academic Award, a team must have maintained a cumulative 3.0 grade point average for the year. A team must have a minimum 3.5 GPA for the 'President's Special Recognition'. "Working hard and achieving success at one's sport and academically shows a true commitment for our program to the NCAA III ideals," said head coach Andrew Belsky. "A high bar has been set over the last three years by the team, and we have a goal of maintaining that high standard of performance on the course and in the classroom."